DID YOU KNOW?? The smallest bones in the human body are located in the middle ear. The malleus, incus and stapes, more commonly known as the hammer, anvil and stirrup, transmit sound from the eardrum to the hearing organ. 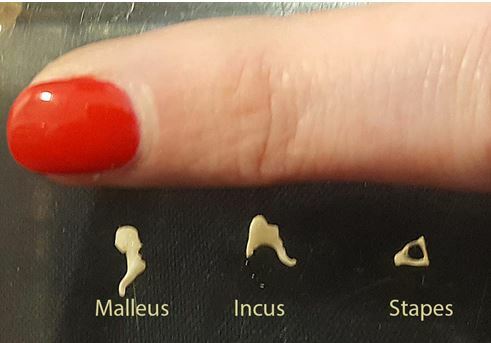 All three of these tiny bones would fit comfortably on your finger nail!